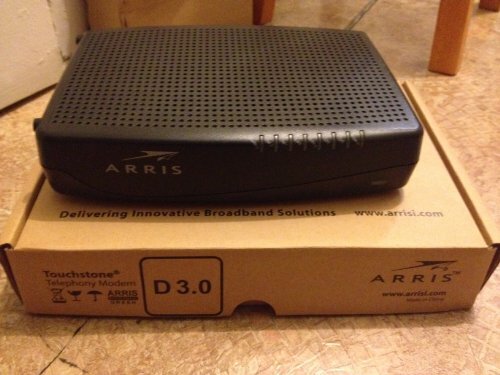 The Arris TM802G modem with 8x4 bonded channels is the older version of the TM822G of the same brand. With two lines of VoIP and multiple battery pack options in case of power outages, this PacketCable 2.0 BASIC complaint telephony modem isn’t compatible with some major cable service providers. And the only difference between this modem and the TG862 is that the TM802G modem doesn’t have wireless, making it one of the most basic models of the line.